I’ve never wanted to live in a huge house. Tried that, once. My parents moved up from a tiny suburban ranch, their first home, to a massive 1920s three-story in-town stone house. And when my mom realized that huge stone house had 40-plus windows, all of which she washed twice a year, I think the glamour must’ve worn off pretty fast. I do, however, want a house that’s livable. For me that means rooms that are inviting, even if they’re small. Details like light fixtures and hardware that are high-quality. Utility spaces that are actually useful and don’t make me swear with frustration. 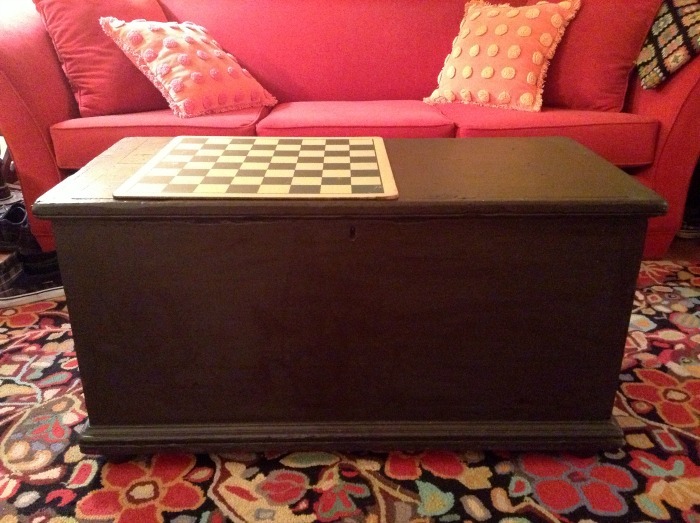 I’ve wanted to paint my hope chest for a long time. No, not change the color. Just add a bit of interest. My original thought was to use flower designs from the rug. 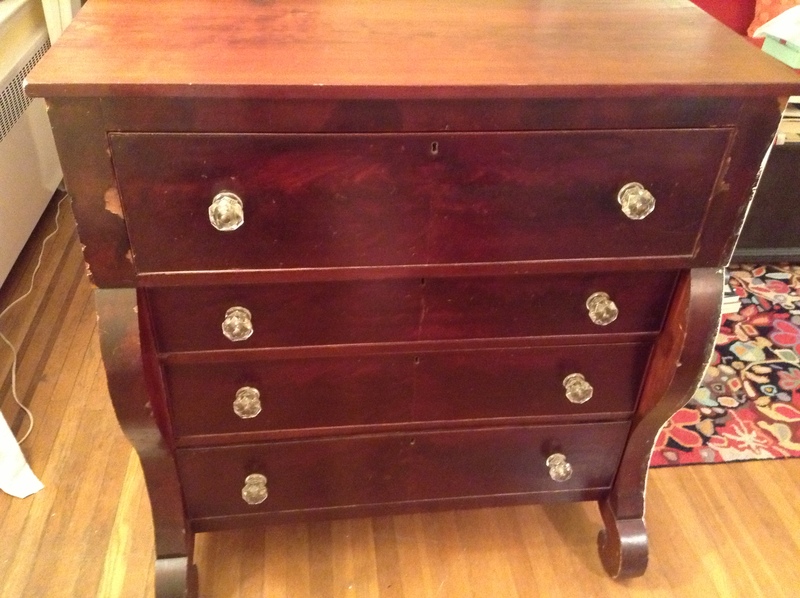 Ultimately, though, that seemed too modern for this antique pine chest. Have you been sitting on the edge of your seat just dying to know what happened with the massive Empire dresser I abandoned in melodramatic despair on Day 15? It’s finally gotten a makeover with a little help from ManRay–aka Mr. Janeray. 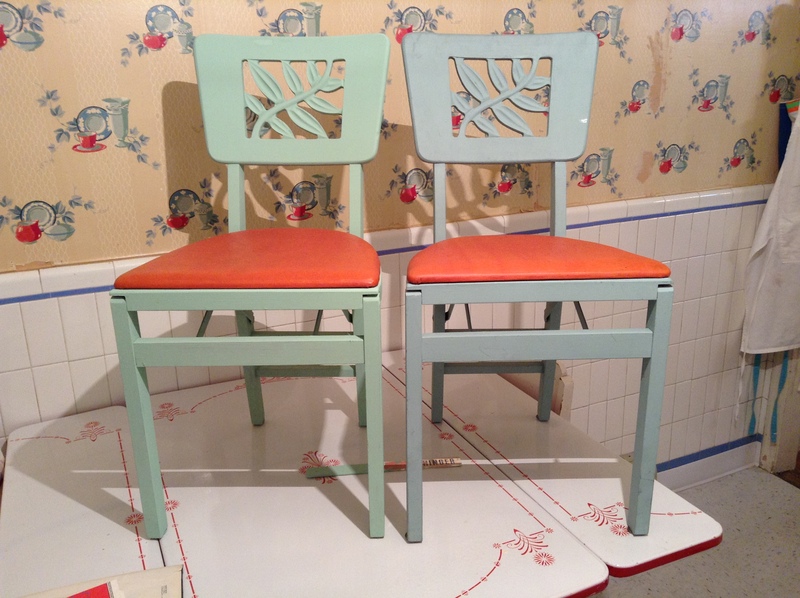 These chairs for extra seating were left unfinished on Day 15 of our Month of Makeovers. Today was the day to get cracking and complete them.